So…I think this state wants me dead. 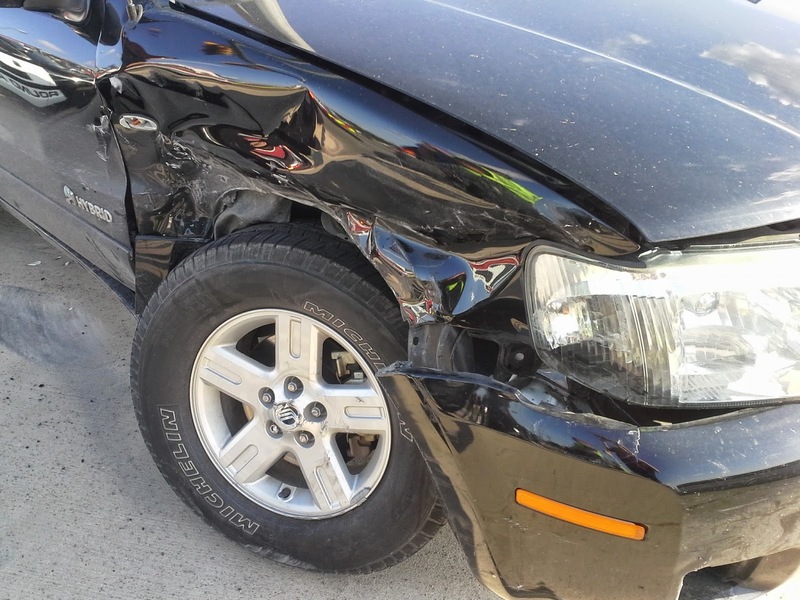 First, a deer hit my Eagle last year, followed three weeks later by a texter hitting our Firebird at a red light. 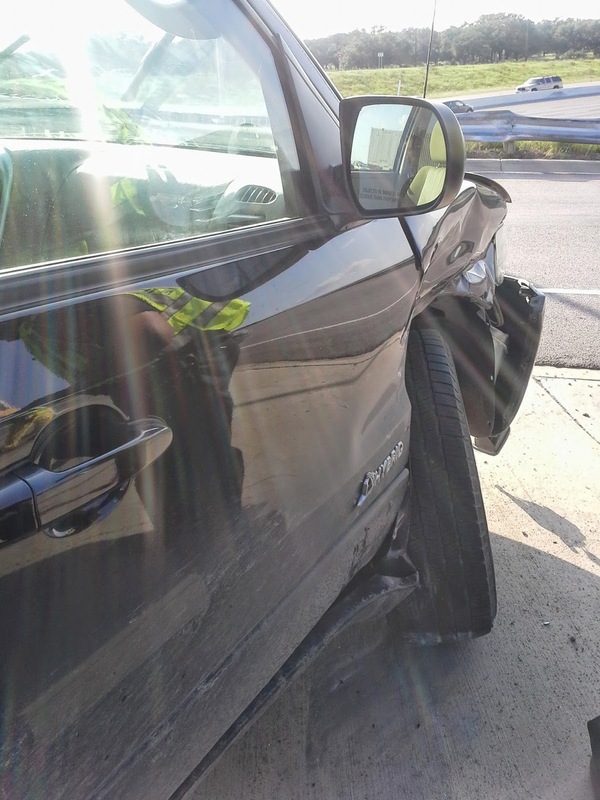 Then, two weeks ago, after I picked out a crib at Ikea and found kind men to load the box into my SUV, a nice 23-year-old recent college graduate decided her red light was really green and crashed head-on into my front passenger door. Her airbag deployed, but thankfully both of us were fine but for some bruises. Her eyes went about as big as saucers when I unloaded my pregnant self from my seat, and she burst into tears to find out that not only was I a pregnant army wife but I had just bought a crib for my soon-to-arrive firstborn. 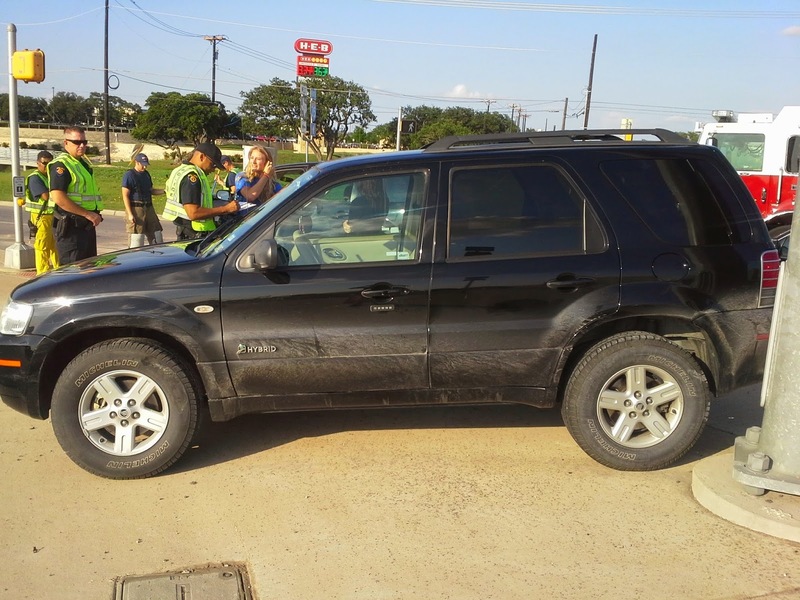 This was her first accident, and she totaled her faithful Ford Escape she had been driving since she was sixteen. Due to the airbag and my pregnancy, EMS arrived quickly to clear us – Spartacus was fine. She was insured, the sheriff and tow truck arrived quickly, and the scene was cleared in about half an hour. In some ways I was glad to have been in the accidents last year, because I didn’t experience any of the shock or stress I had then – I already knew that I was fine, and cars were replaceable. Interestingly, I found myself playing the mother-teacher and comforting her as she was going through the shock of her first accident. She apologized over and over again that it was her fault, and I could see the fear in her eyes as she reflected on what she was going to do next. I knew the insurance battle wouldn’t be pretty for her. Hubster drove the hour down from Killeen probably faster than he ought, and by the time he got me USAA already had started my claim, taken my statement and my photos, and approved me for a rental car. 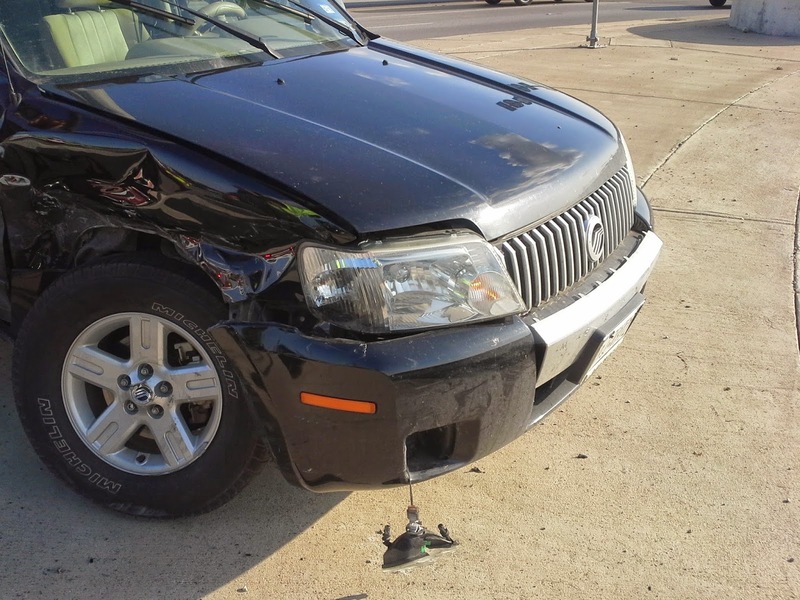 Given how much car trouble we’ve had recently, I cannot say enough good things about USAA insurance. 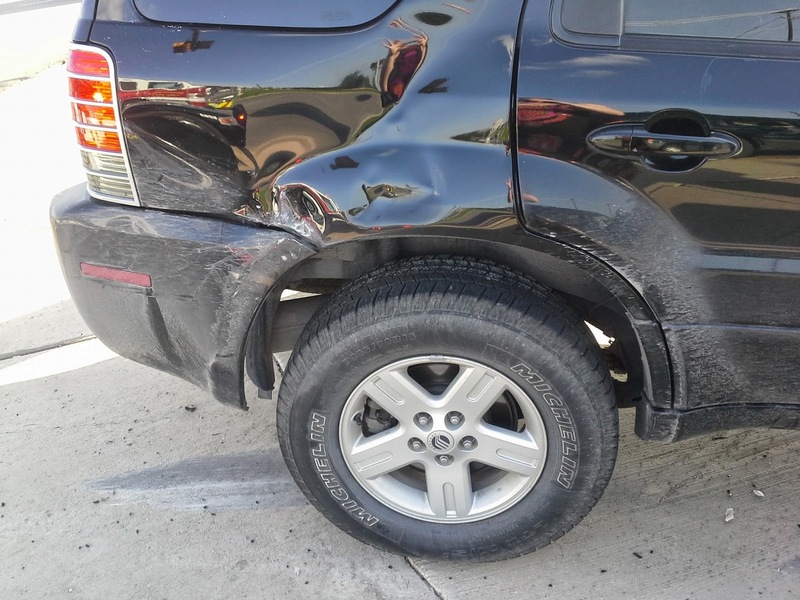 My driver’s side – see, looks drive-able right? No…sad. Upsides: Despite having three cars totaled in 18 months, NONE of them were our fault and therefore our premiums haven’t increased. I have a bruise on my knee where it hit the steering wheel. And that’s it. God is good!